Well done to the P5- P7 who took part in Round 2 Primary Schools Cross Country run in Newcastle. Ten pupils entered, nine boys and one girl. 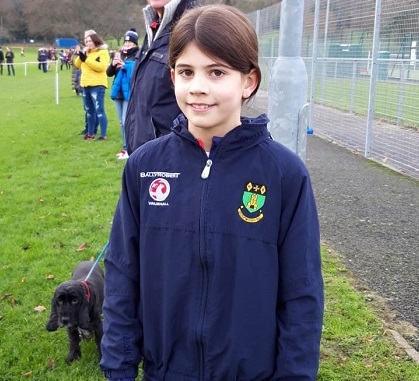 Elsa finished 8th in the girls race and has qualified for the Final on 30 January – she ran the 1400m course in 5 mins 29 seconds! Despite some of the children not feeling their best their efforts were incredible and everyone came away feeling 10ft tall! It was a long journey there and back but well worth it. Some of the P5 pupils made it back in school in time for the Daily Mile. What a busy day of activity! Posted on December 6, 2018 by Debbie Crookshanks and filed under Sports.